Here’s a question that comes up fairly often when buying new tires: are you allowed to fit any tire to your car if it has the same diameter as the rims? The answer is no; the process is a bit more complicated than that. First, you have to find out if they have tire approval. That’s because not every tire is permissible for use with every car. To maintain vehicle safety and performance – and to spare your wallet from any unnecessary expenses down the road – tire approval is a necessary step in the purchase process. Tire approval is a document that clearly explains whether a new set of tires is permissible for use with your car. It is sometimes also known as a clearance certificate. Where can you find existing tire approval details? This information is already in your vehicle registration documentation. 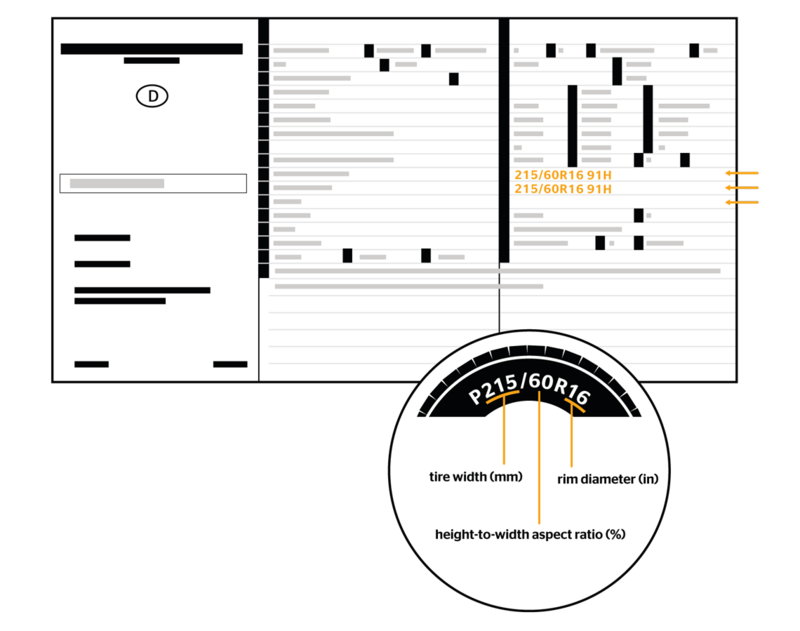 The codes listed here will outline the correct sizes and rims for use on your car. If the dimensions of the prospective new tire, like size and rims, aren’t present in your vehicle’s documentation, you cannot fit them until a clearance certificate has been issued. This certificate can come from the vehicle manufacturer, tire manufacturer, or an approved test center. Once again, do make sure your new tires are compatible with your vehicle and approved for use within the parameters given above. For your safety and satisfaction, it’s vital to fit your car with approved tires. Tire tread patterns to meet the needs of the road. The pros and cons of going wide.